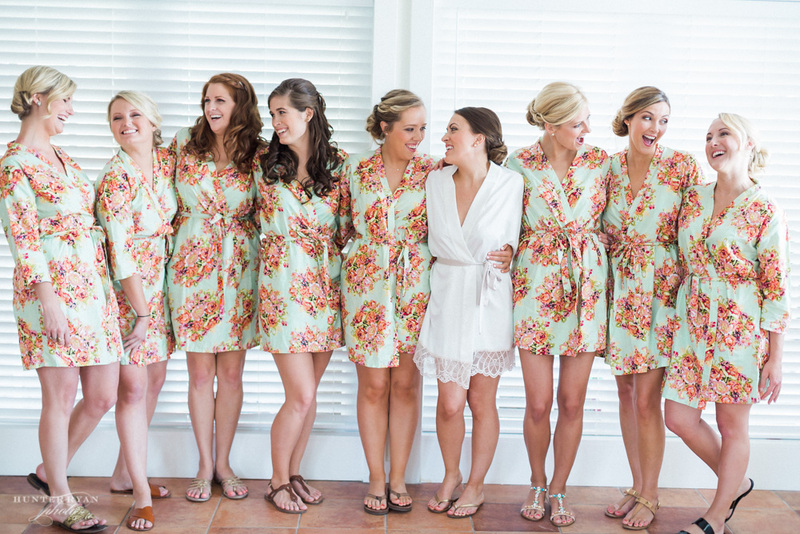 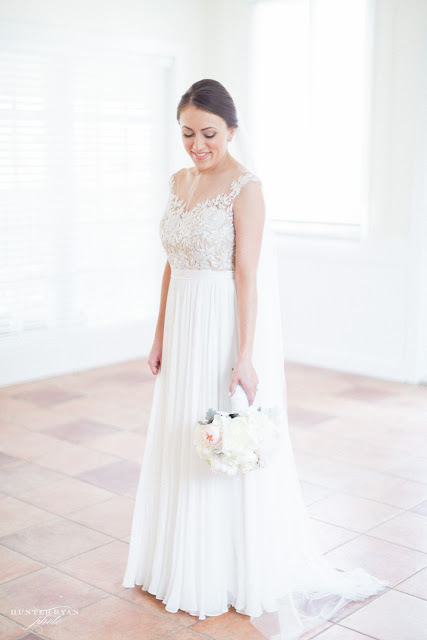 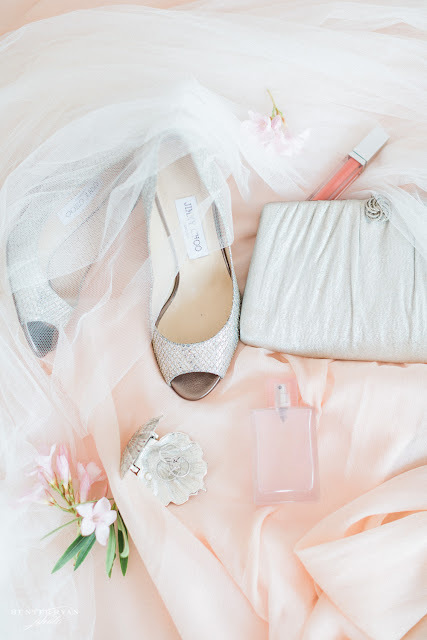 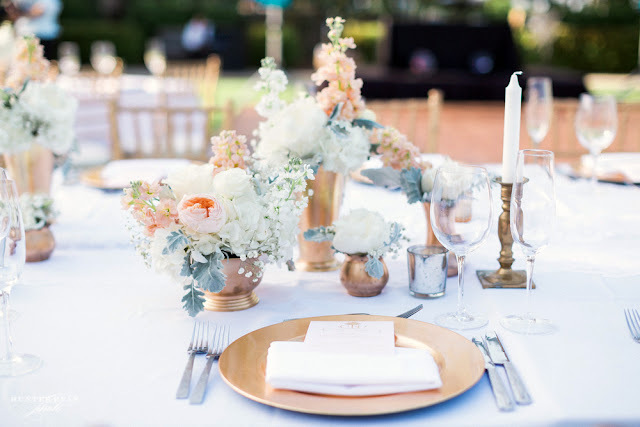 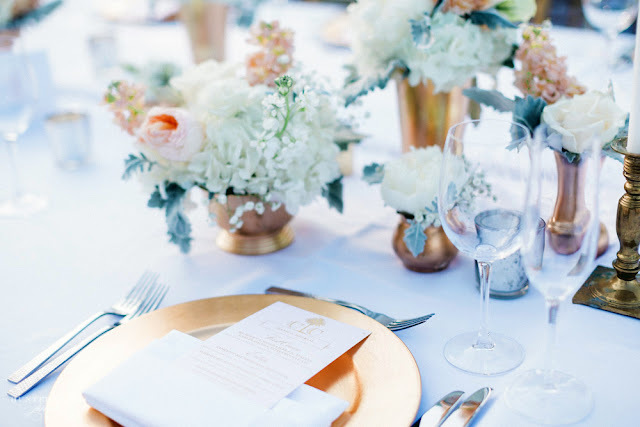 We have such a pretty wedding to share with you today! 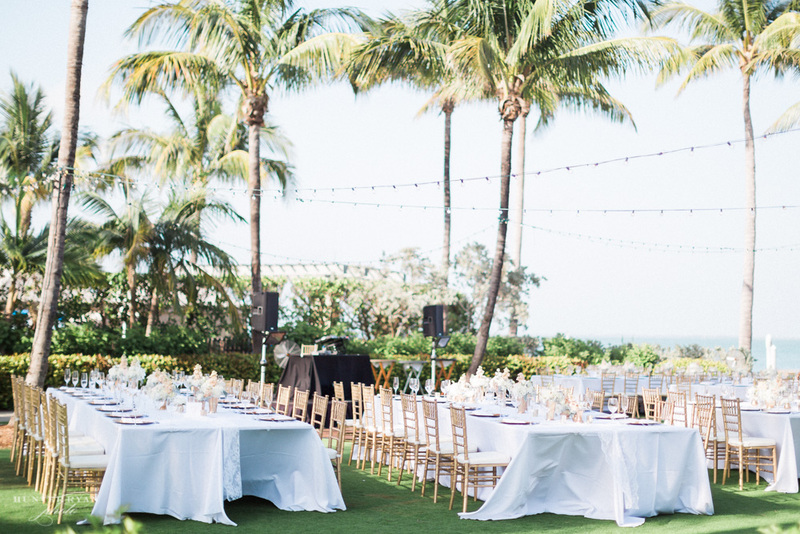 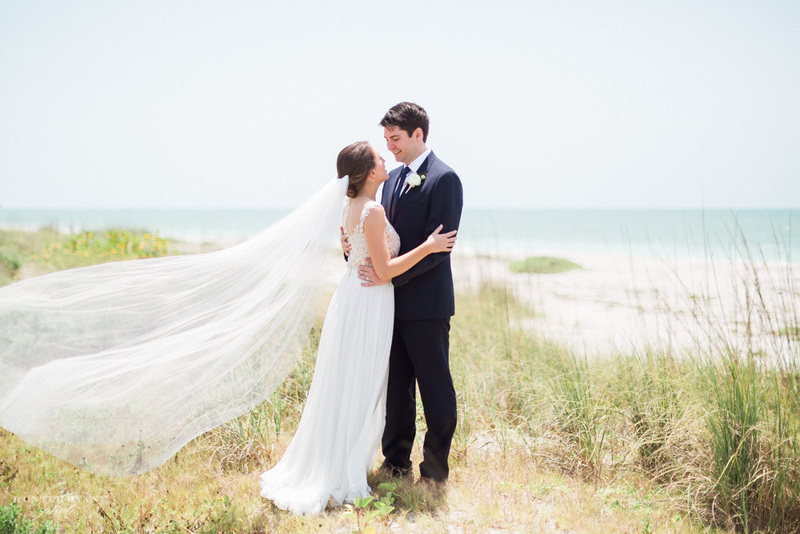 Caroline and Chris' destination wedding was held on gorgeous Captiva Island, Florida. 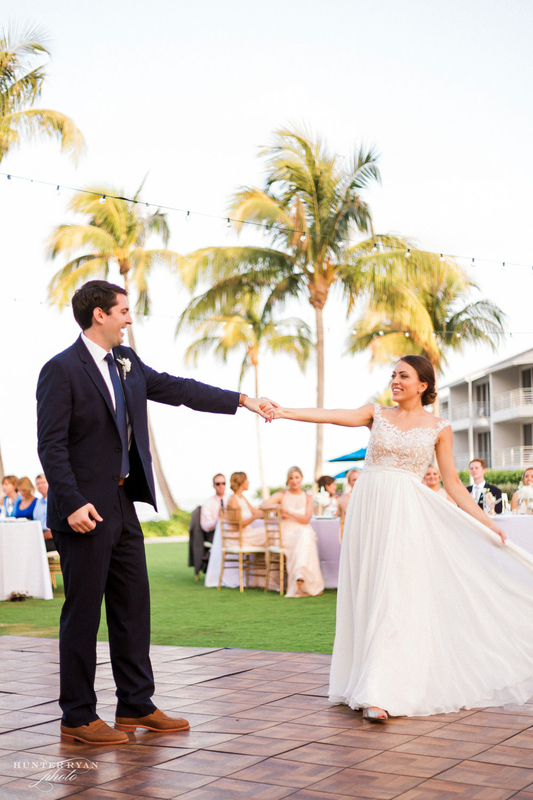 With not one but two amazing locations playing backdrop to their wedding day (their ceremony was held at the cutest seaside wedding chapel, and their reception was held under a canopy of palm trees at The South Seas Island Resort), the couple's sweet love and romantic color-way just added to this beach wedding magic! 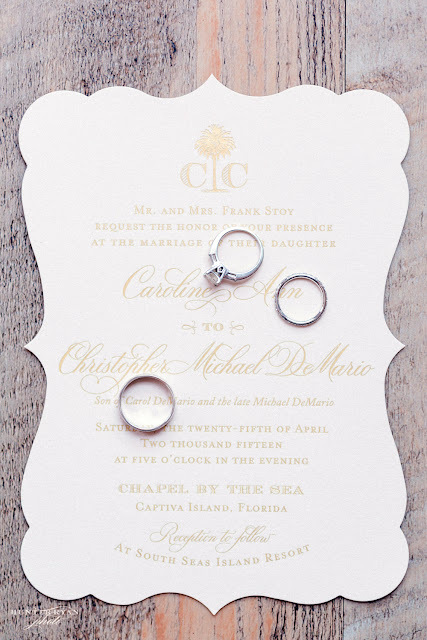 The couple came to us needing wedding invitations, and little extras to make their wedding day special for their destination wedding guests. 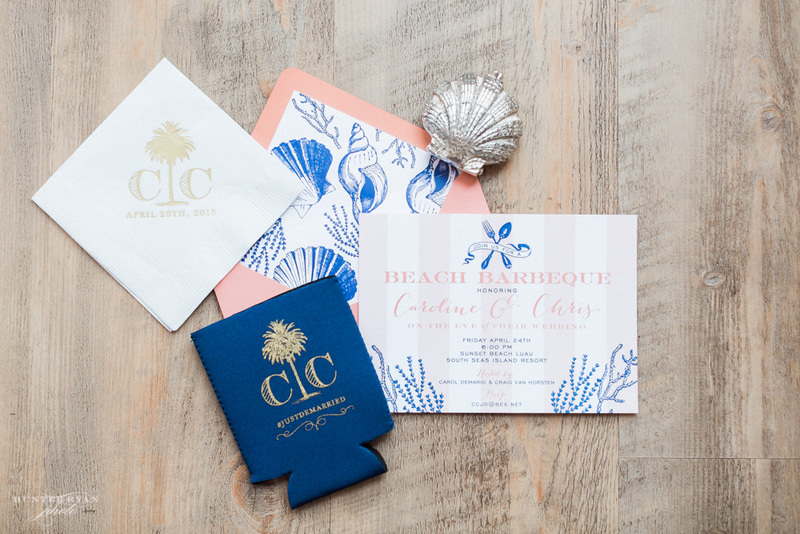 Inspired by the wedding's beach-front location, we incorporated a palm tree into the couple's custom wedding monogram. 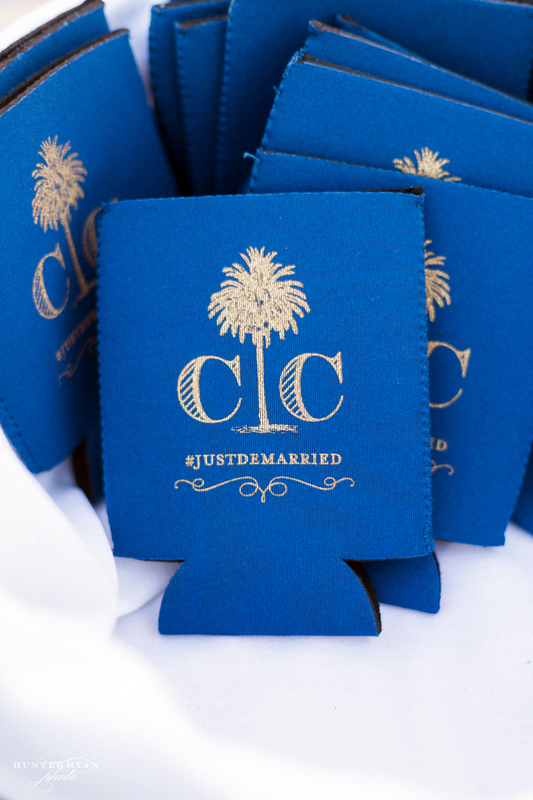 Used on everything from their wedding invitations to the koozies at their reception, the monogram personalized every aspect of their destination wedding day. 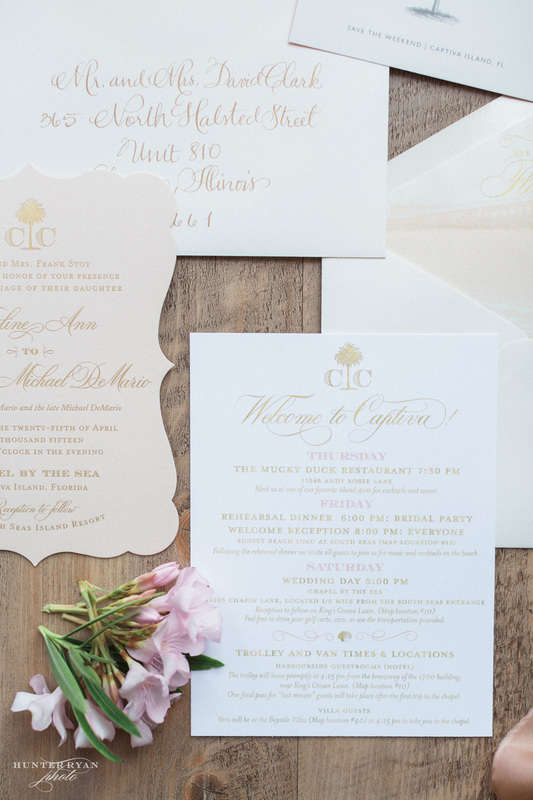 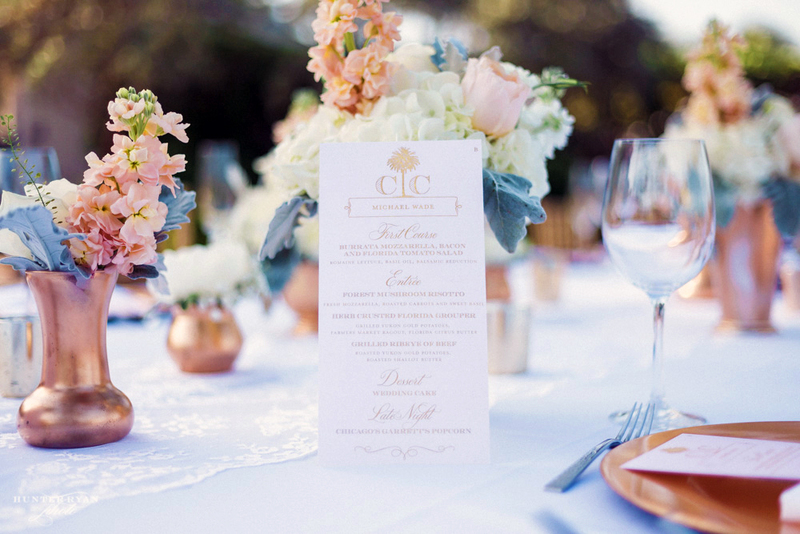 Caroline and Chris' custom wedding invitations were printed on a romantic blush paper in gold foil stamping. To get guests excited to travel for their destination wedding, we included an envelope liner that said "See you in Florida" above a watercolor picture of the bridge leading to Captiva Island! 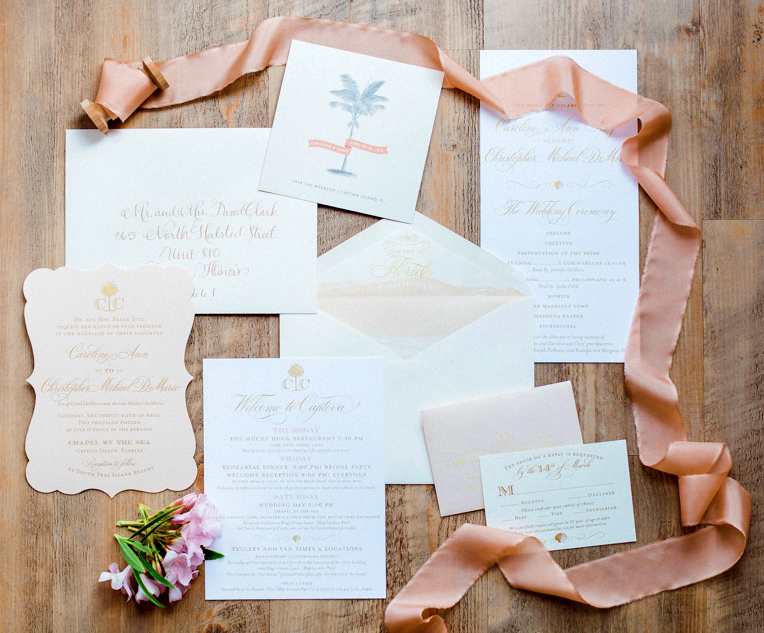 Their blush invitation featured a unique die-cut shape, which gave their invitation a fun twist! 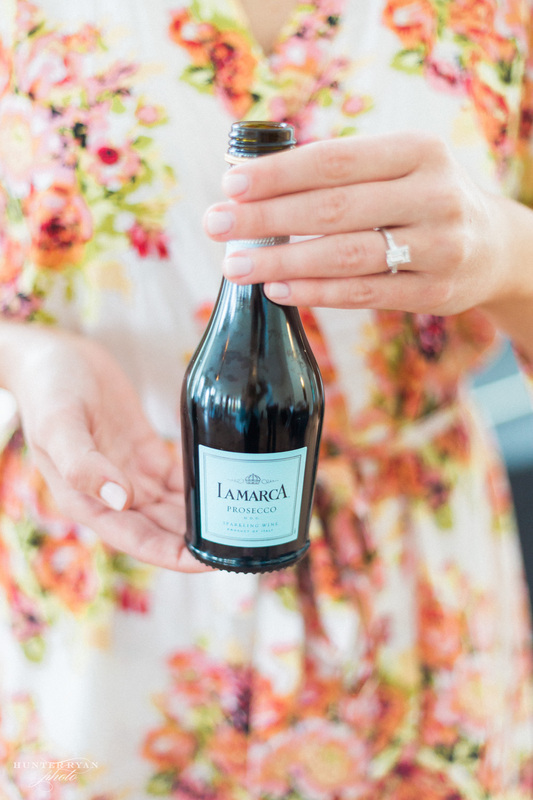 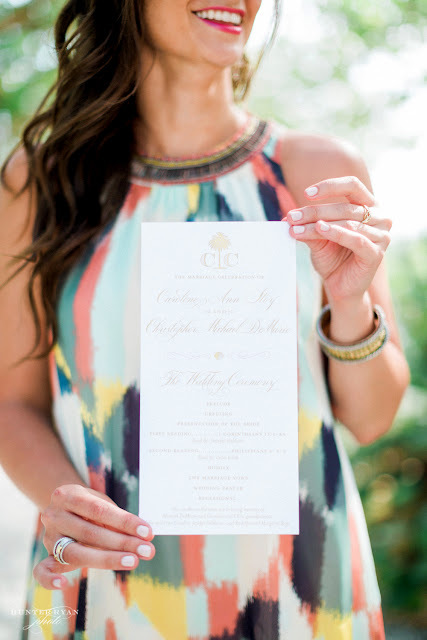 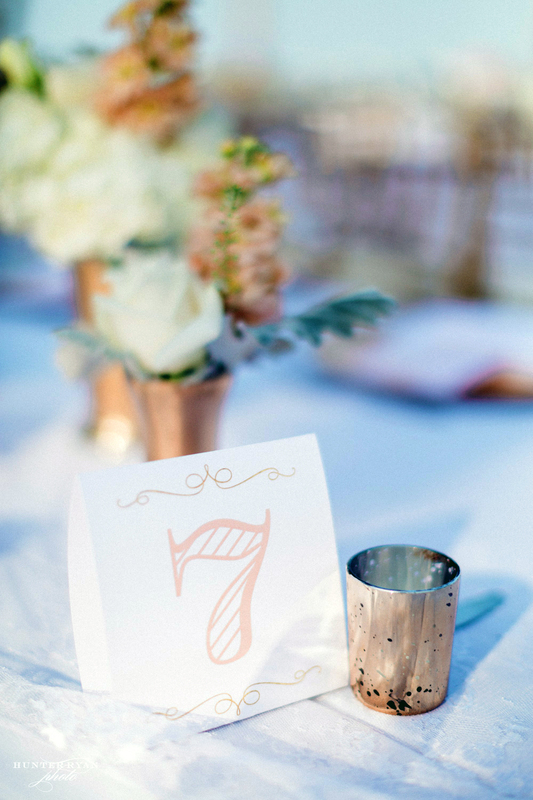 The couple's custom wedding monogram was also present on their wedding weekend itinerary. 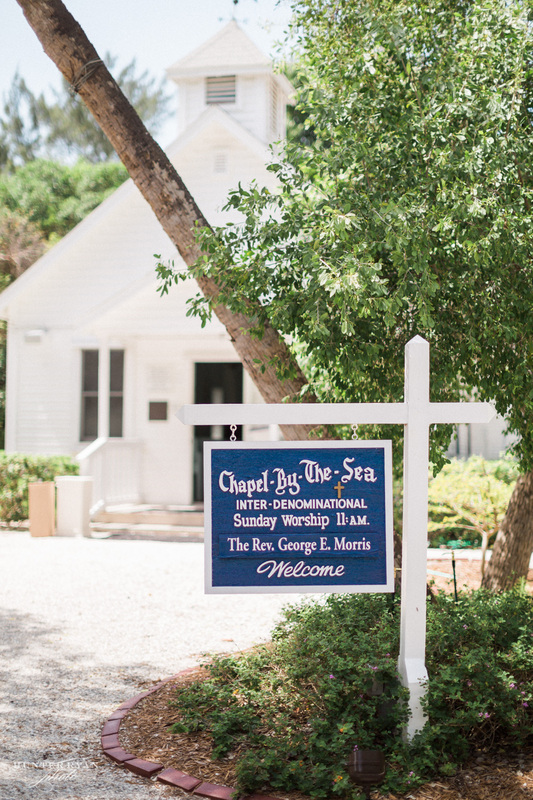 We can't get over how adorable the couple's wedding chapel is! 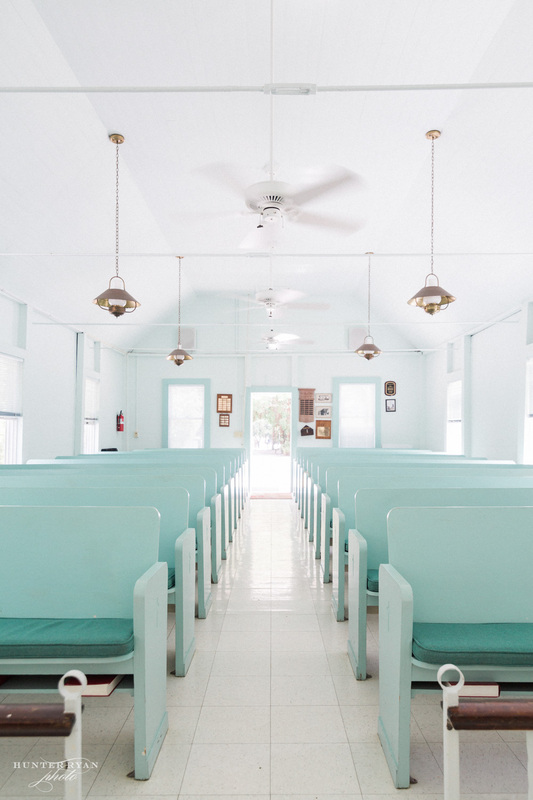 The white and mint colored wedding chapel is so beach chic! 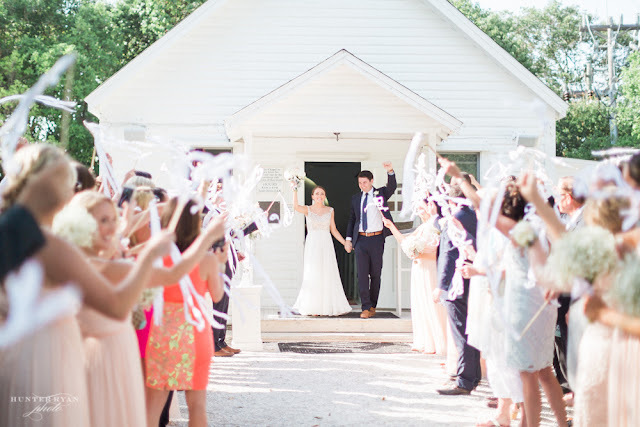 Congrats to the newlyweds, Caroline and Chris! 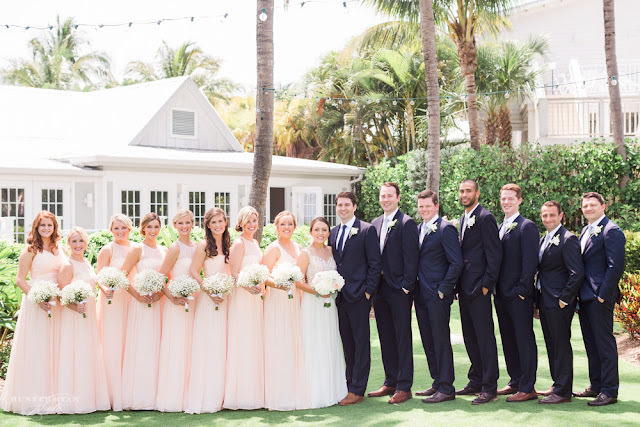 We had so much fun helping make your big day special! To see more of Caroline and Chris' Captiva Island Destination wedding, be sure to visit their real wedding gallery on our website!